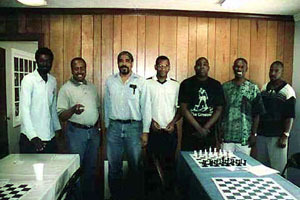 The Black Bear Chess School is a chess club having produced some of the strongest Black chess Masters in its history. In the famous Black Bear tradition, players jockeyed for position in the club. 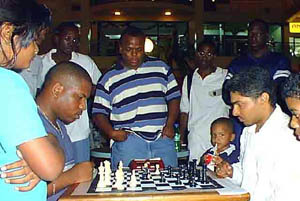 In order to move up, one player had to challenge the player immediately above him. 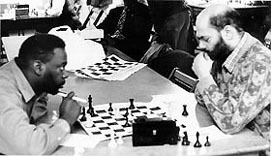 Thus, being the #1 and #2 players in the Black Bear Chess School, Maurice Ashley and William Morrison played a series of 30-game blitz matches. 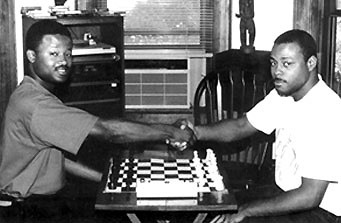 This picture above took place at Willie "Pop" Johnson's house. 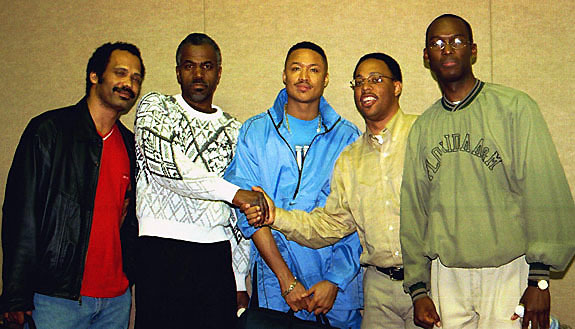 The BFOC of the Midwest (L-R) FM Emory Tate, Sam Ford, Billy Turner, Frank Johnson, and Daaim Shabazz. 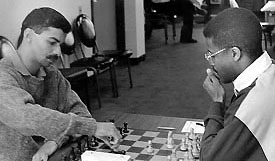 2001 World Open (Philadelphia). 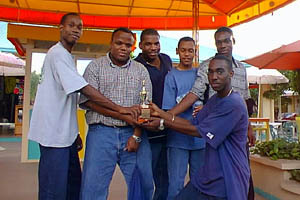 Kneeling (L-R) FM William Morrison, NM David Allen, Sr., Daaim Shabazz, David Allen, Jr., Sulaiman Smith. 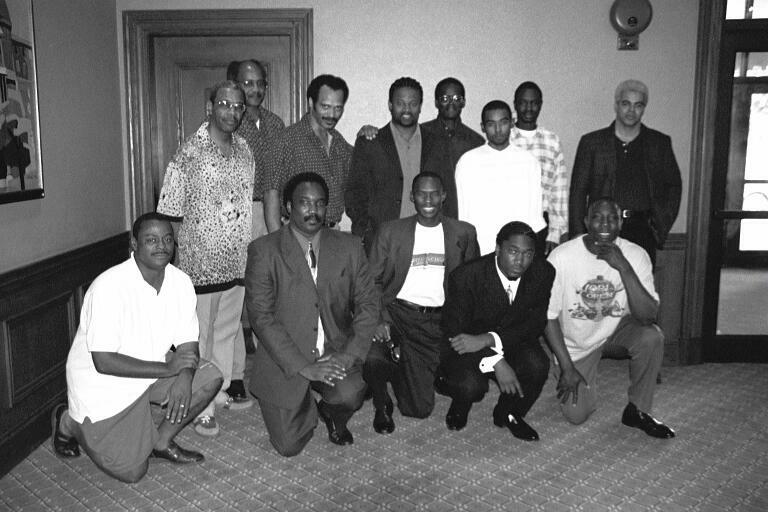 Standing (L-R): NM Charles Covington, NM Frank Street, FM Emory Tate, GM Maurice Ashley, Jones Murphy, Jr., FM Kenny Solomon, NM Grace Nsubuga, NM Ernest "Steve" Colding.